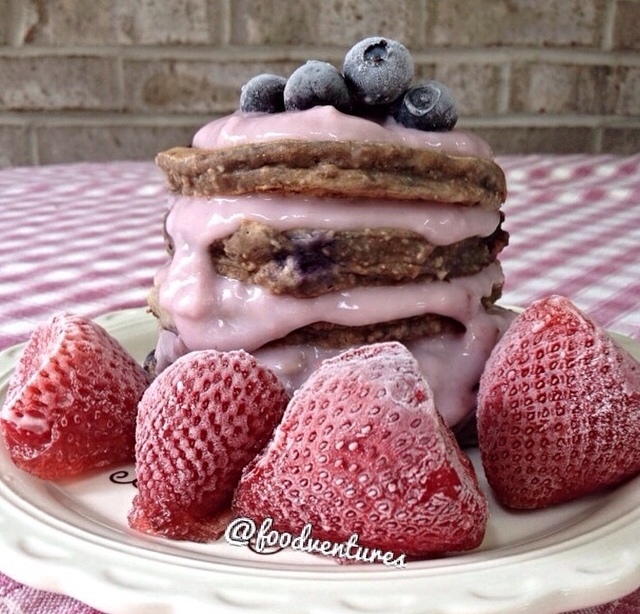 Who doesn't love blueberry pancakes? Even better? They're layered with a blueberry filling so you get twice the blueberry action! Combine ingredients to make your pancakes, adding enough milk to make a batter. cook a few minutes on each side on your skillet. Layer with blueberries and your yogurt. Enjoy.